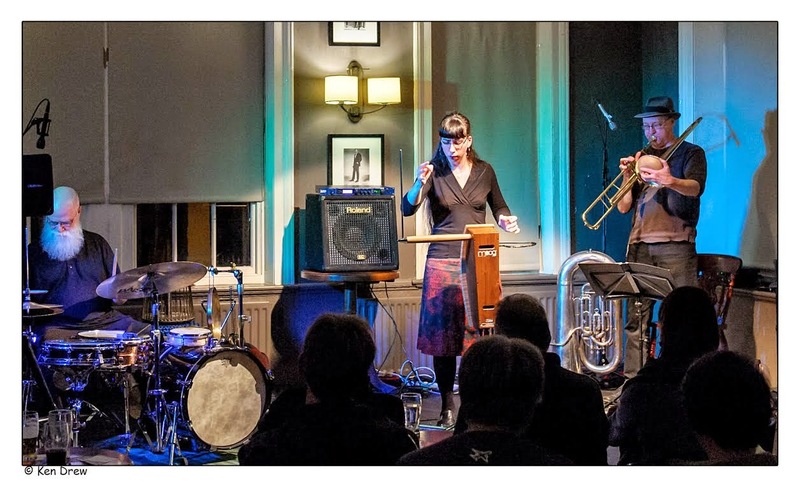 bebop spoken here: Jazz North East & Splinter @ the Bridge present a ‘Women Make Music’ event; Beatrix Ward-Fernandez Trio + Watching Sideways @ The Bridge Hotel, Newcastle – March 8. As the official BSH Theremin reviewer, I can safely say that no two Theremin players are alike. Ward-Fernandez’s playing takes a far more minimalistic approach than Kurstin’s so there were less melodic solos but more punctuated interactions. The dominant force behind the trio was the one man brass band Derek Saw who played tuba, valve trombone and trumpet with considerable aplomb although not necessarily all at the same time. The magnificently bearded Collins on percussion provided a great visual spectacle and seemed to have more tricks up his sleeve than Paul Daniels which is somewhat appropriate because any band which includes a Theremin in its line-up is always going to be somewhat magical. 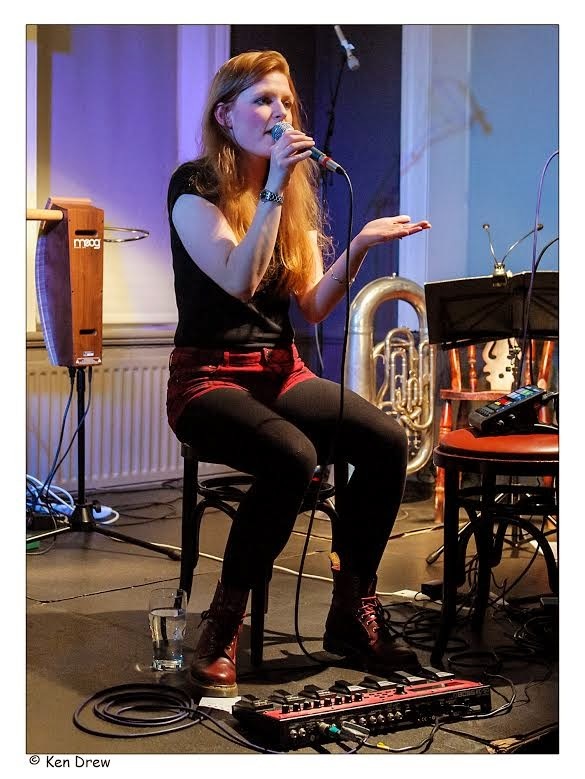 The event was part of the popular ‘Woman Make Music’ series and the first part of this impressive double bill saw the launch of Zoe Gilby’s ‘Watching Sideways’ project. Zoe performed a set of vocal pieces using a range of electronic effects to produce an incredible virtuoso solo piece of performance art. There were some completely improvised pieces and some based on well known tunes including Don’t Stop me Now and a memorable version of Dolly Parton’s Jolene. The set ended with a piece which contained the repeating lyric Crazy girl in the park, I don’t know if this is autobiographical or not but at its conclusion the packed audience responded with rapturous applause. The final part of the evening saw both halves of the double bill unite to perform an exhilarating final collaboration. Yet another triumph for the Jazz North East’s Women Make Music season.